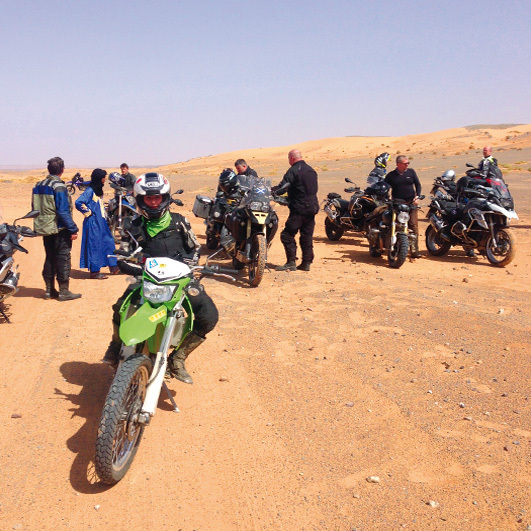 From the 17th to 30th of October 2019 and april and october 2020 on the road in the most diverse and safe country in North Africa – the kingdom of Morocco! 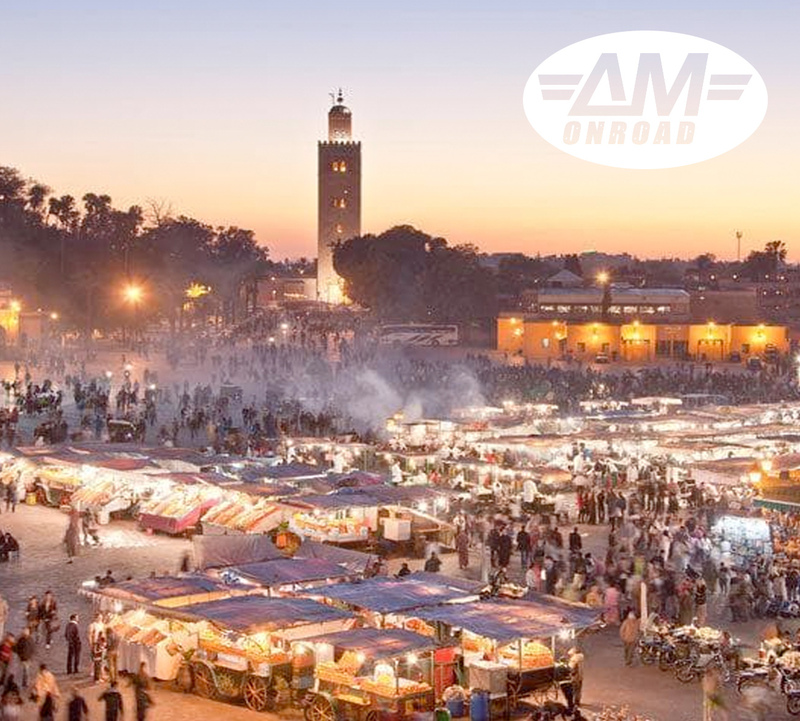 13-day round trip to the most diverse and safest country in North Africa - the Kingdom of Morocco! To the "blue city" Chefchaouen, over the Rif Montains, the Middle Atlas and the gorges of Oued Ziz through the oasis cities Errachidia and Erfoud in the Saharavillage Merzouga. Later to the canyons of the High Atlas. In the royal city of Marrakech with sightseeing. To the Capital Rabat, the Atlantic fortress Tangier and then to the ferry from Tangier Med to Spain. 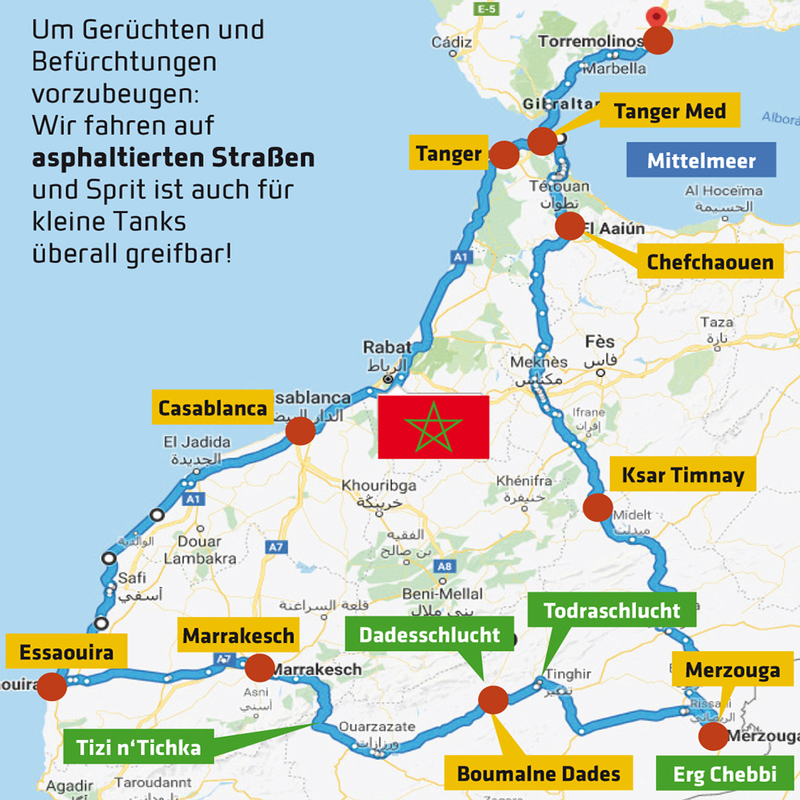 Including FUEL costs, FLIGHT from Frankfurt to Malaga* (or other destinations), FERRY to Tangier, Luggage transport in our SUPPORT VAN, Motorway TOLL, good HOTELS with half board. 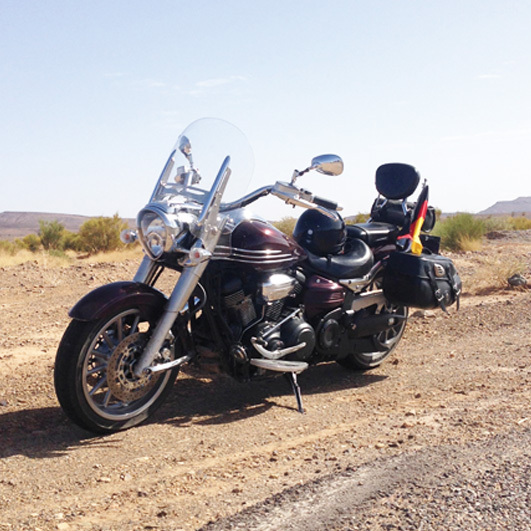 First a short flight from Frankfurt (or other destination for additional cost) to Malaga in Andalusia Spain, our motorcycle transporter has just arrived. The next morning, trip to Algeciras and the crossing from the bay of Gibraltar to Tangier Med in Africa. The immigration formalities we can already start on board. 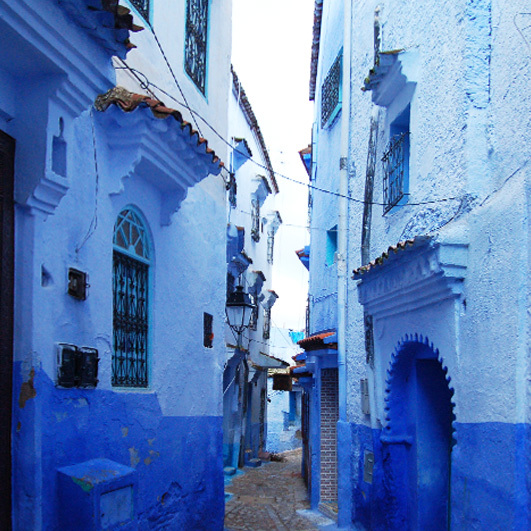 Via Tétouan we reach the "blue city" Chefchaouen and in the evening we look at the maze of tiny streets and souks - pure fascination! The next day we cross the 2000 meter high plateaus of the Middle Atlas, then one step deeper into the wide landscape around Midelt where we spend the night. Through the gorges of the Oued Ziz we cross Errachidia, our first real desert town with its palms oases and continue towards the Sahara: The village of Merzouga is our destination, located directly on the high sand dunes of the Erg Chebbi. 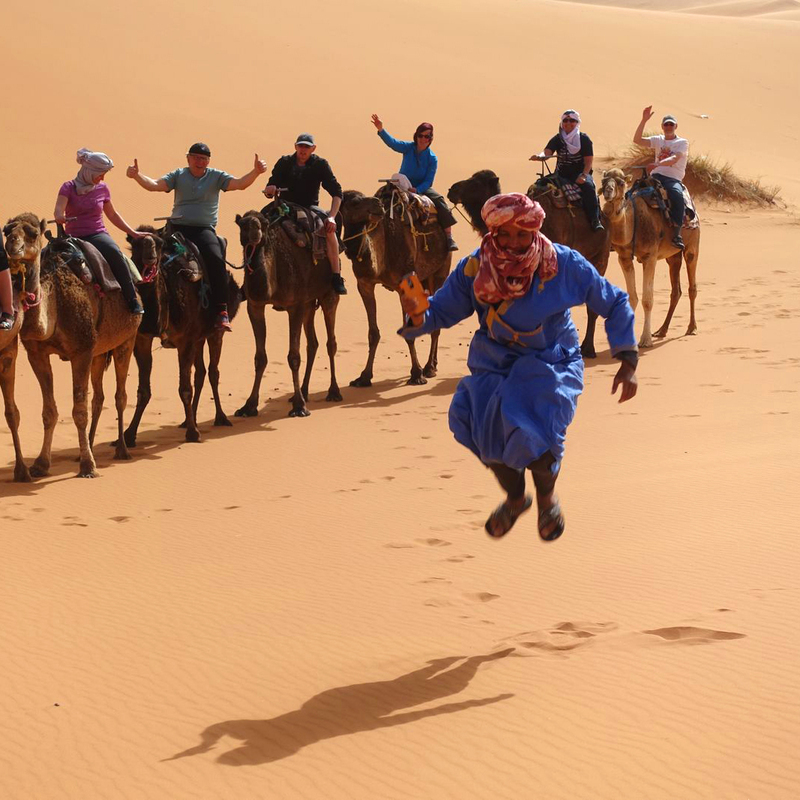 On the following day there is the possibility for the enduro riders to go on a desert tour with some gravel and sand passages around the dunes of Erg Chebbi. 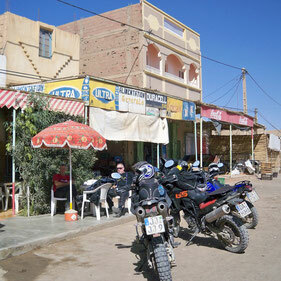 Optional camel, jeep or quad safaris can be booked or simply relaxed by the pool - a real Saharan day! A short desert stage on beautifully curved country roads leads us to the edge of the High Atlas with its deep ravines between peaks up to 4000 meters high. The next morning we start to the gorges Todra and Dades. Enduro riders can explore the connection of the two gorges on an 80 km long gravel road at almost 3000 meters altitude. 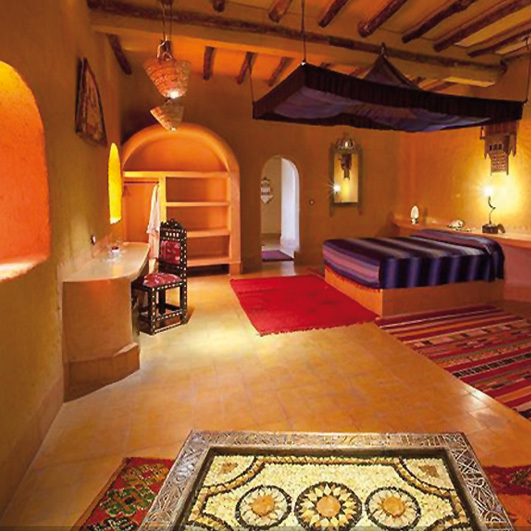 The World Heritage Site Ait Ben Haddou is located on the route to another highlight: Marrakech, a city like 1001 Nights. The next day we have time to explore this fascinating royal city. In the evening, the Djemaa el Fnaa, the place of the hanged man, awaits us with its incredible hustle and bustle on monkey and snakebearers, countless food stalls, orange juice presses, music tale tellers and jugglers. Next morning a ride to the Atlantic fortress Essaouira with its busy fishing port. And then we drive along the Atlantic coast to the boulevards of Casablanca. At our last morrocan day we follow the coast road to Tangier and we stop at the Cap Spartel lighthouse on the rocks above the coast. Only 60 kilometers to the ferry port Tanger Med on the Strait of Gibraltar. Another short ferry crossing to Algeciras and back to our hotel in Malaga. On board of the ferry we have opportunity to review all the incredible impressions of this trip. 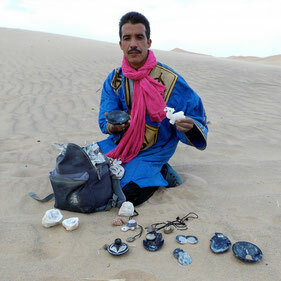 Morocco is a country between the Middle Ages and the Modern. Somewhere in the middle of nowhere two Berber people in traditional Djellabas riding on their completely overloaded donkey through the desert - just like in the time of Jesus 2000 years ago, and then one of them pulls out his smartphone and films us passing motorcycle riders. Otherwise: The hotels are clean and have almost some wine and beer for us tourists. The food is very wholesome and varied. There are enough gas stations, even for smaller tanks. The roads are well developed and paved. The people are extremely polite and helpful. Police checks are common, ensuring our safety without stopping us. DAY 9: city tour in Marrakech. * People coming from other countries as Gemany can also fly directly to Spain an get a rent bike. Ask us for the special conditions. 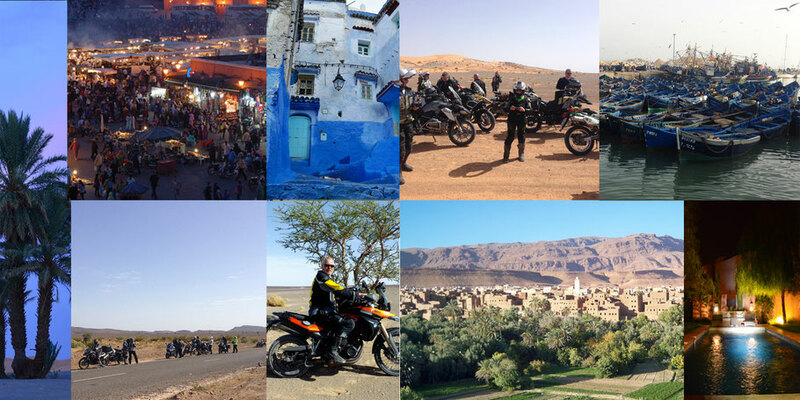 This first Morocco trip in the 2005 was a pure private tour with three good friends of mine. In November 2011, it was almost the route same that we still take today. After returning, I wrote a travel blog in Getjealous. If you are interested, you can read it in german language or watch 100 photos. 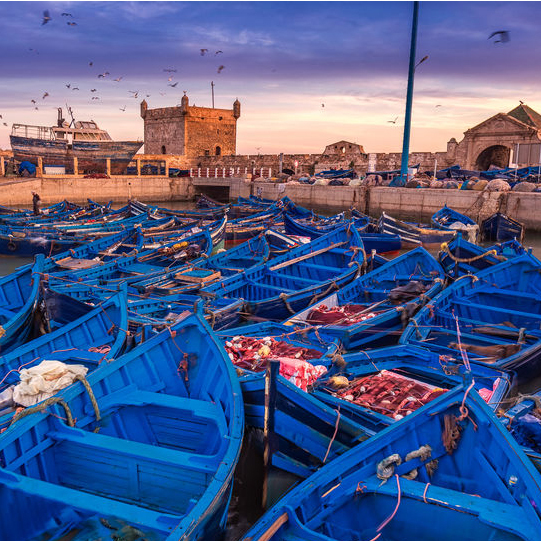 On the Atlantic Ocean, the fortress town of Essaouira with its interesting fishing port lies on a wave-shaped rock. Some people still think with horror of previous trips to North Africa - on each sleeve hung a palaver seller ... Whatever - THAT IS REALLY FINAL. All Moroccans, including the police, are extremely polite and absolutely helpful. We also should not forget that we drive around in their beautiful country for our pleasure, while they have to deny their existence there. So we should treat them to a shop from time to time, buy some souvenirs, give a tip ... do not hand out alms but do normal business, share in our prosperity and just be as respectful and nice as they are themselves.